The Customer service department handles company issues whether they are in store, over the phone or over email. Companies that produce technical products such as mobile phones, software or laptops often have technical support staff to resolve problems. 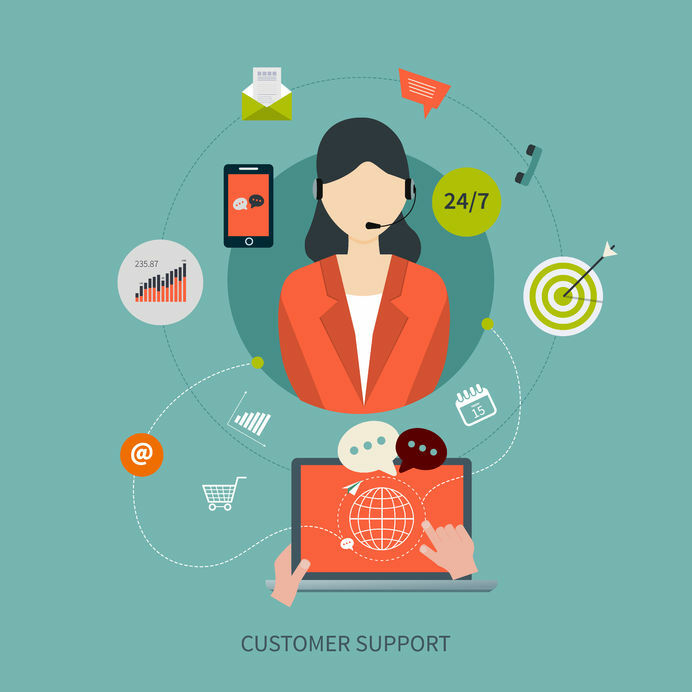 There are many reasons why the customer service department is important but first and foremost a company will not survive without providing customer service, this would mean there is no one available to handle payments or answer questions. The customer service department helps an organisation from being different from their competitors. For example if there were two clothes stores which had similar prices, you would most likely go for the one that puts extra effort into their customer service, giving them an advantage. A company that has excellent customer service is more likely to get repeat business and will benefit from greater customer yield. Companies with poor customer service will have a negative impact on business. It usually costs much more to get a new customer than to retain them due to advertising costs and the expense of sales calls. Customer service courses are ideal for anyone looking to enrol their staff on customer service training. Customer service training courses are very popular, London TFE are offering courses around the world to help any customer service team develop their skills to increase revenue. The customer service department can boost revenue by mining through customer service data and to pinpoint and capitalise sales opportunity. With the right tool, the sales team can find opportunities to sell accessories, up sell and cross sell. The customer service department always receives feedback. Bad customer feedback doesn’t always have to be a negative and only is if you handle it in the wrong way. If you look at bad feedback as constructive criticism then it can make you sell more products and ensure the problem doesn’t persist in turn increasing revenue. Where companies usually use FAQs to answer easy questions, it would be best to let the customer department deal with this. It would be best to get them to send an email to customer services, this will show you whether the problem is widespread. If the customer service team receives 40 emails with the same issues, this can be flagged to be rectified to avoid losing money. The customer service department makes the customers feel welcomed and safe, knowing that there is someone there to solve all their problems. Emails have become the norm so why not hand write a personalised message to your customers to ensure that their loyalty will always lie with you.